In the wake of Paul DiGiovanni’s first number one country song, Dan + Shay’s “How Not To,” Billboard sat down with him to discuss his recent success. Congratulations to UMPG Nashville writers Keith Urban, Kane Brown, and Luke Laird on there ACM Nominations. The incredible Keith Urban leads the ACM Awards with seven nominations including Album of the Year, Entertainer of the Year, Male Vocalist of the Year, Single Record of the Year, and Song of the Year. Kane Brown earns his first ACM nomination for New Male Vocalist of the Year. Lori McKenna's "Humble and Kind" scores a nomination for Song of the Year. And Luke Laird's unparalleled talents has earned him a nomination for Songwriter of the Year. Some of the greatest songs ever written by Prince are now streaming worldwide on services such as Spotify, Apple Music, Pandora, Amazon Prime, and Google Play, among others. 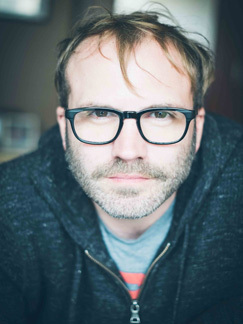 Listen to Bob Kingsley's Country Top 40 where Andrew Dorff is featured in the Milestone Artist segment. This segment includes a medley of Dorff's biggest hits and a look at his influence on the Nashville songwriting community. A celebration of Dorff's career before his death at the age of 40. L.A. native Andrew Dorff was a touring recording artist for a decade before moving to Nashville to pursue a career in songwriting. Some of his biggest hits include "Save It For a Rainy Day," "Somebody's Heartbreak," "My Eyes" and "Neon Light." Today we mourn the tragic loss of prolific songwriter Andrew Dorff, a man with a heart of gold and an unparalleled talent for songwriting. He was beloved in the Nashville community. To us, he was family and a fixture in our office and in our writers rooms. As a songwriter he was extremely gifted and dedicated to the craft. It wasn’t unusual for Andrew to have two, or even three co-writing sessions a day. Universal Music Publishing Group (UMPG) Nashville has signed an exclusive, global publishing deal with ASCAP songwriter Caylee Hammack. Ryan Hurd created a major internet buzz almost overnight with the release of his debut single "We Do Us." In less than a week, the song reached over a million streams on Spotify. "We Do Us," written by Hurd, Laura Veltz, and Mikey Reaves, is a glimpse into Ryan's upcoming album which is currently in the works. For the first time in more than four years, a song written solely by one person has climbed to the number one position in country music.